The following day one summary comes from WIA Delegate Greg Kelly VK2GPK. 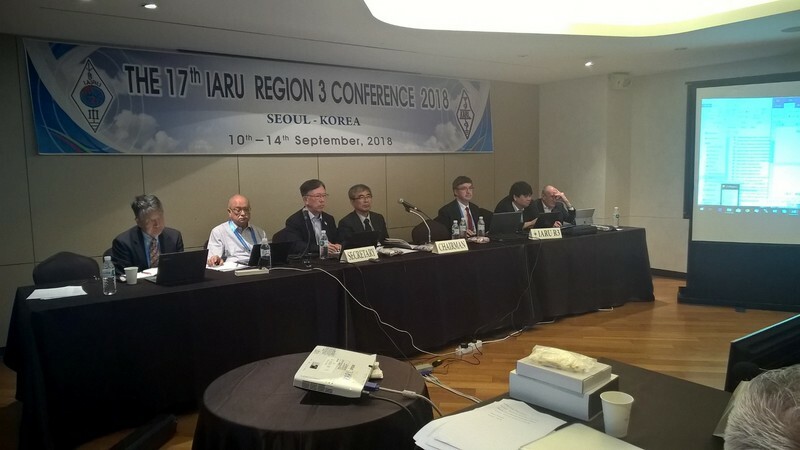 The day one plenary covered Region 3 operational status and then moved to individual status reports from all the Region 3 member delegates, plus reports from IARU (global) and IARU Regions 1 and 2. It was noted that there are many similar issues faced by the member societies, especially engagement and retention of younger radio amateurs, with only a few exception. The plenary session also allocated the various submitted papers to two working groups for consideration and formulation of recommendations. Working group 1 covers policy, with Working group 2 covering technical and operational. The WIA delegate is chairing the policy WG 1. The delegates will split into the two working groups beginning Day 2. Stay tuned for further progress from the conference.